The census-designated community of Lahaina is a hotbed of opportunity for those wanting to invest in Hawaii real estate. You can attract larger crowds with cost-saving and convenient accommodations in Laihana. Business is always good in Lahaina, Maui. Vacation rentals here are some of the most cost-effective accommodations one can find on the Valley Isle. Lahaina’s residential nature is what distinguishes it from the island’s other tourist destinations. As a real estate investor, you can capitalize on excellent real estate and offer these at attractive rates for profit. Lahaina real estate includes plenty of condominium properties. This means your investment assets come with the convenience of complete furnishings, building maintenance services, and other luxurious perks. There are also detached, single-family homes that make excellent bed-and-breakfasts or full-fledged vacation rental homes. 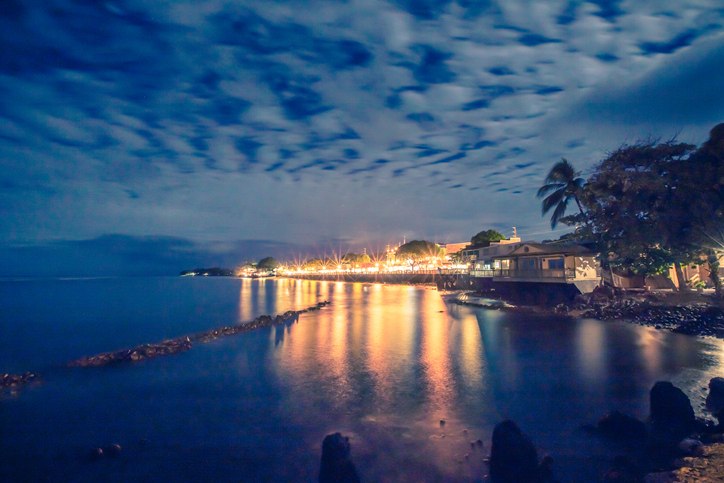 Historically, Lahaina used to be the royal capital of the former Hawaiian Kingdom. Lahaina is actually a hodgepodge of various notable chapters in history. It was a once-thriving whaling port, an important settlement for missionaries, and a productive sugar farming community. These distinct periods still reflectin the unique character ofLahaina’s residents. The observant visitor will see this on a casual stroll along its peaceful, tree-lined streets. Lahaina is known for its historic banyan tree (a type of fig). Planted in 1873 as an anniversary marker for the town’s first Protestant mission, the tree stands today as a popular landmark outside the Lahaina Courthouse. The park built around this famous historic site is a popular venue for local community festivals and craft fairs. Do note that the massive original tree trunk isn’t all there is to see. Look around and you’ll see 16 other tree trunks around it, spread across nearly an acre of space. These are, in fact, all part of the same tree! This community is home to the Lahaina Arts Society, a group that cultivates local artistic talent. The LAS operates two distinct art galleries at the Lahaina Courthouse. Also, it sponsors monthly Fine Art Fairs under the historic banyan tree. Do you want to learn more about Lahaina real estate? Call me, Greg Burns, today and I’ll provide you with the professional assistance and expert insights that you need. You may reach me at 808-214-0302 and you can email me your inquiries at Greg(at)IsleLuxury(dotted)com.